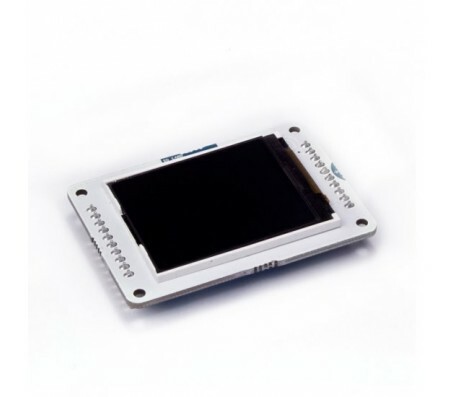 The Arduino Graphic LCD (GLCD) screen is a backlit TFT LCD screen with headers. You can draw text, images, and shapes to the screen with the GLCD library. 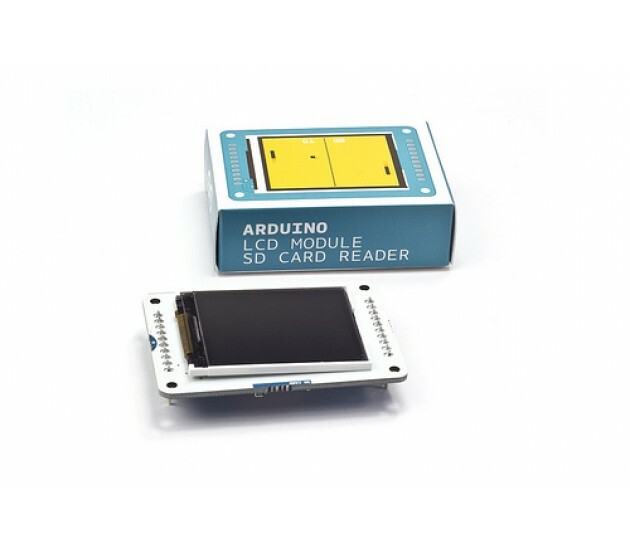 There is an onboard micro-SD card slot on the back of the screen that can, among other things, store bitmap images for the screen to display. 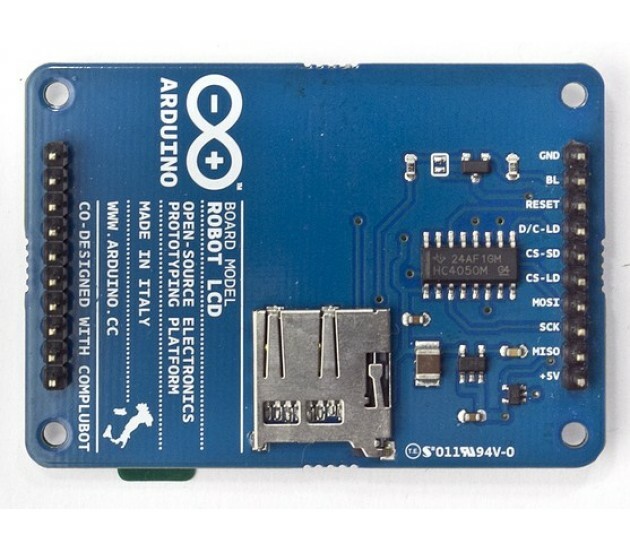 The screen's headers are designed to fit into the socket on the front of the Arduino Esplora, but it is compatible with any AVR-based Arduino (Uno, Leonardo, etc. 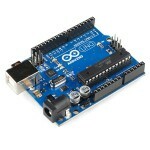 Datasheet You can use this module with Arduino Esplora. 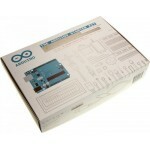 More info on the Arduino product page.